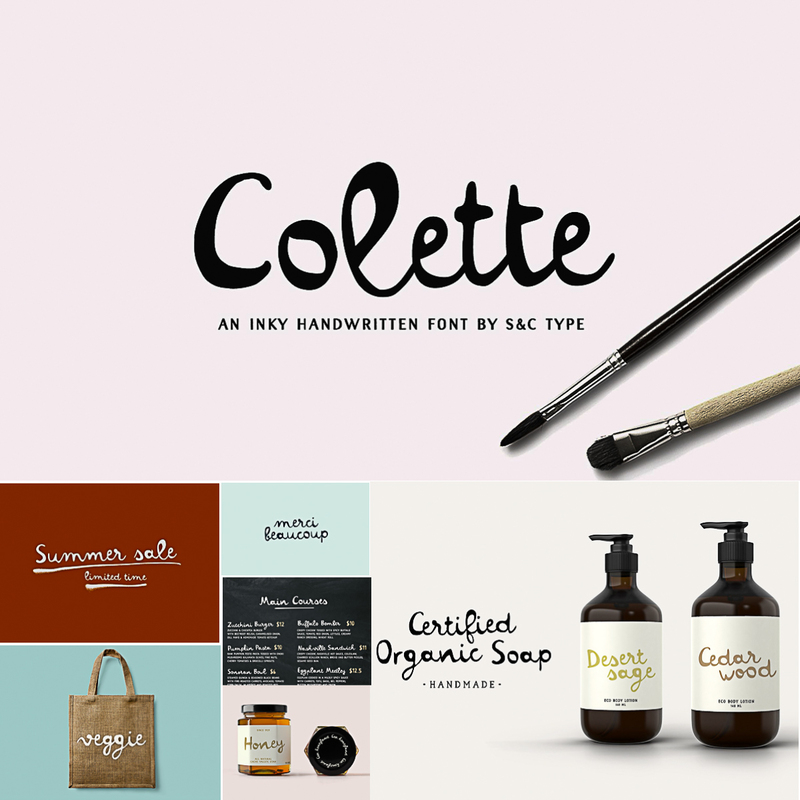 Colette is an inky handwritten script font. This finely balanced font was designed to be easy to read and easy to use. Colette includes alternates and OpenType ligatures such as double letters or alternates glyphs that you can use to improve your designs and make them look natural and friendly. Tags: bafery, colorful, feminine, fun font, handwriting font, ink, inky, signature font.